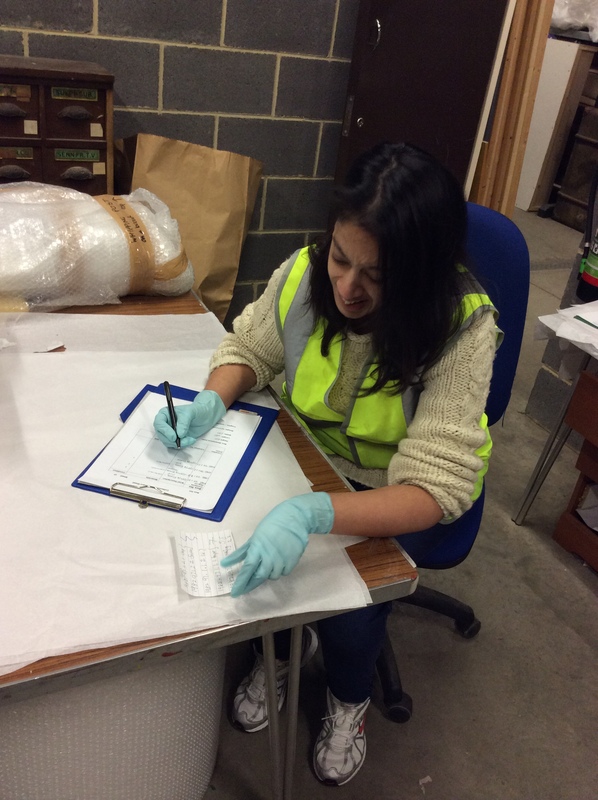 In our last volunteer blog update, we explained how our volunteers had been assisting staff in repacking and relocating objects at our off site collections store. Since January, we have recruited five new volunteers, from all different walks of life – some are students, some are recently retired and some are wishing for a change of career – but they all have an incredible amount of enthusiasm and diligence in common. In this blog we’ll give you a catch up of what our volunteers have been doing with us, and why they get involved in the first place! In mid January all new and existing volunteers took part in documentation training workshop with Katie, the Volunteer Coordinator and Jill, the Collections Officer. Through this they learnt the essentials of museum documentation, and the journey our museum objects go through in their time with us. With their new found documentation training skills, our volunteers have been assisting Katie, the volunteer coordinator, in going through our ‘recent acquisitions backlog’. This is essentially the same as a build up of paperwork, or bits you haven’t had a chance to look at, in your home, or non museum office. Our backlog ranged from a 20 strong collection of spectacles to romantic love letters. We all swiftly discovered our favourite things to register into our collection; everyone found their own particular interest – even if it was nothing that they’d previously thought of before. Everyone learnt to spell ephemera correctly, and we all got pretty clued up on its definition – ‘Ephemera is any written or printed matter that is meant to be temporary, or throwaway. The word derives from the Greek, meaning things lasting no more than a day. Some examples of types of ephemera are advertisements, letters, postcards, posters or tickets. It’s a funny thing to collect these, but they provide a wonderful example of normal life throughout the decades. Angeliki and her potential love letter on a photograph, is it a jilted lover or is this a memento from happy times? As well as our favourites, objects hauled out of the boxes proved to be really useful and downright strange. Cottis and Sons ephemera. Beautiful decoration and very useful for our collection. One of our stranger objects, a collection of newspaper clippings on straying cattle – from 1961 to the late ‘70s. Since January, our volunteers have undertaken an impressive 323 Hours with us and fully registered a whopping 426 objects for the museum. We are incredibly proud of our volunteer team, and we’re very thankful that they devote their free time with us. We recently nominated our collections volunteer team for 2015 SHARE Volunteer Awards in the Behind the Scenes Award category. The volunteer collections team has been nominated for their contributions and fantastic work during 2014. 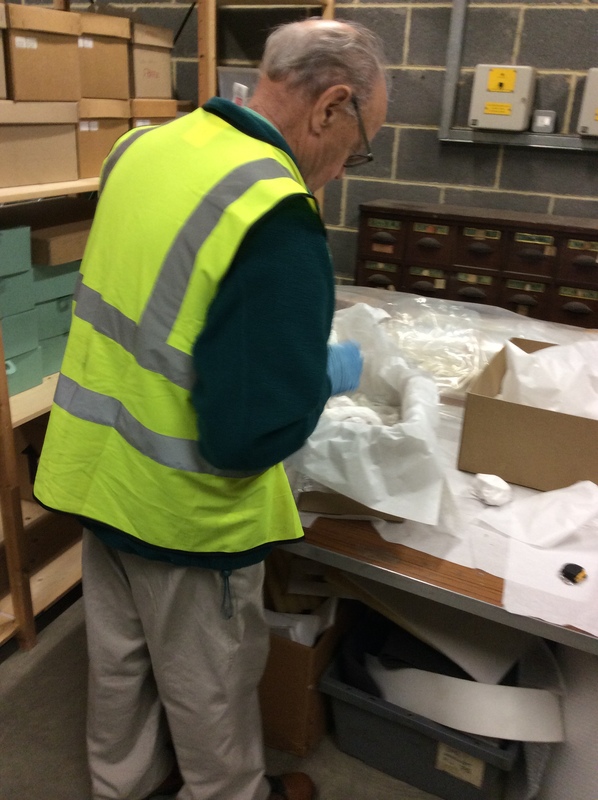 Our collections volunteers are getting a bit of a break whilst we prepare our museum collections for relocation back to the new Epping Forest District Museum and their new home in our onsite collections store. But we will be starting new projects in the autumn and finding more new learning experiences! We will be looking for new volunteers to join us, in both the collections team and other aspects of the museum so keep an eye out for adverts in the next six months. In 2015 Lowewood Museum will be launching a brand new and exciting project. We are going to be setting up a Youth Panel who will create exhibitions, run events and help advise us on the types of workshops and activities that young people would like to see in the museum. After the great success of our first ever Takeover Day the museum team has seen how beneficial it can be to give ownership to young people and that’s why we would like to continue this work. 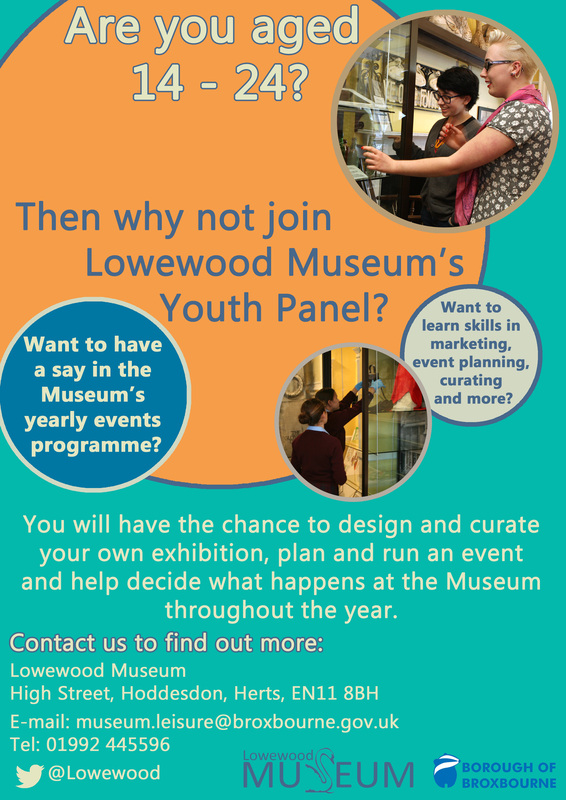 If you are aged between 14 and 24 and are interested in getting involved then get in touch with the museum to find out more. 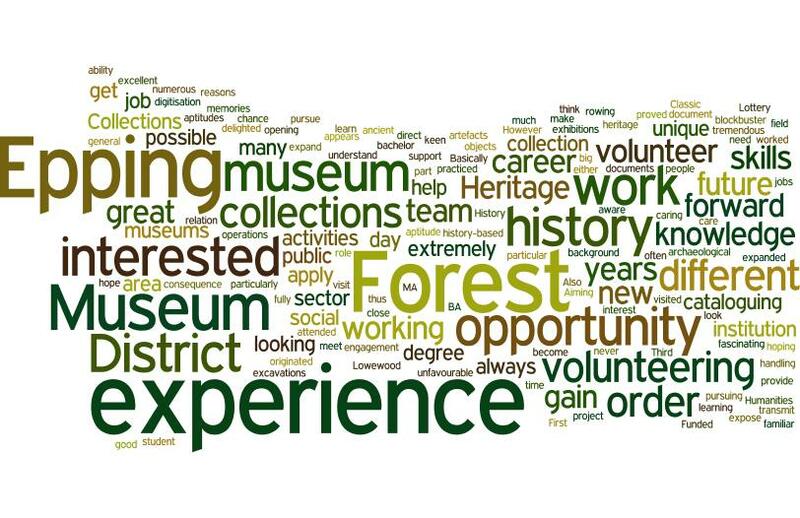 Our volunteers are an incredible asset to the Epping Forest District and Lowewood Museums service and to our Heritage Lottery Funded project. They bring a vast array of skills and enthusiasm, and we’re very lucky that so many of our volunteers are also members of local historical societies, U3A groups and volunteer in other local historical venues as their knowledge and expertise considerably enhance our collections and research. However, you don’t have to be already knowledgeable in history to volunteer, we’re keen to involve all levels of interest and experience, and so many skills are transferable to collections care! 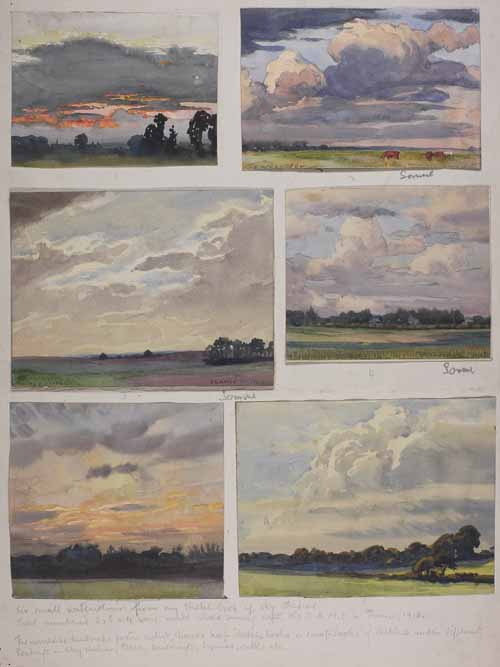 We will be updating you on the opportunities and volunteer projects over the year, this blog will give you a first-hand insight into the ‘behind the scenes’ work that our volunteer collections team assist us with. 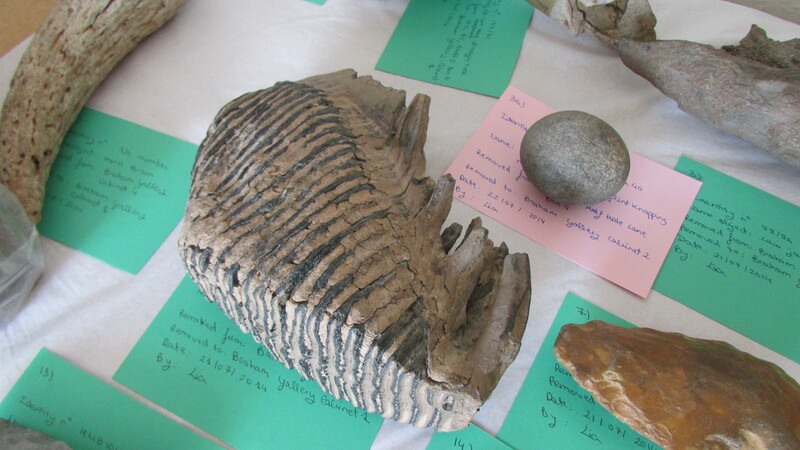 In September, 2014 the volunteer collections team at Epping Forest District Museum returned to the stores alongside the Collections Manager and Volunteer Coordinator after a brief summer break. As you may be aware the museum is closed for a refurbishment project so the staff and volunteers got stuck into the task of returning objects that had been on permanent display in the museum back to their original locations in the stores. This sounds simple, but can be a challenge, as a lot of what we do involves a fair amount of detective work! In order to relocate objects, we carefully unwrapped them from their protective acid free tissue to look for their accession number, a unique code found in every museum which identifies each object, this lets us know what the object is (as you can’t always tell from just looking at it) and where its store location is. Our stores are vast and have hundreds of boxes, so it would be impossible to locate and put away objects safely and correctly without these accession numbers and correct cataloguing. The volunteers then hunt for the number and its location on our collections management system, a computer based database, and we go seeking the correct box in the stores. Along the way we got to look at a vast array of fascinating objects, and it can be difficult staying on task! Volunteer Philip packing a box with acid free tissue for packing and future transport. He creates little ‘clouds’ of acid free tissue to support individual objects. The box is then sealed, with a packing list, and ready to go back to its store location! 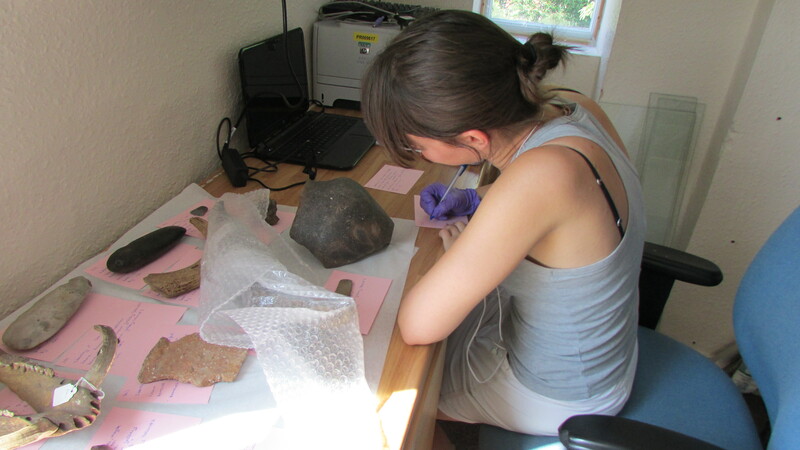 Vanessa, collections volunteer, updating the object packing lists. This list goes into the box with the objects, so we have a record of what should be in there, and the object requirements, for example weight and fragility. This means when someone moves the box, they can tell what requirements the contents of the box has without any unnecessary handling of the objects which could damage fragile items. Our archaeological collections proved an interesting challenge when we were repacking, as we placed incredibly fragile iron objects into airtight plastic boxes with fresh silica gel creating a ‘micro climate’ that protects the iron from degrading in humid environments. This involved very careful handling, as some iron objects, such as nail fragments can flake or crumble. Volunteer Peter holding a copper alloy tap from Waltham Abbey Church, this unusual design of two animal heads and an animal head spout is thought to be a tap from a beer barrel. 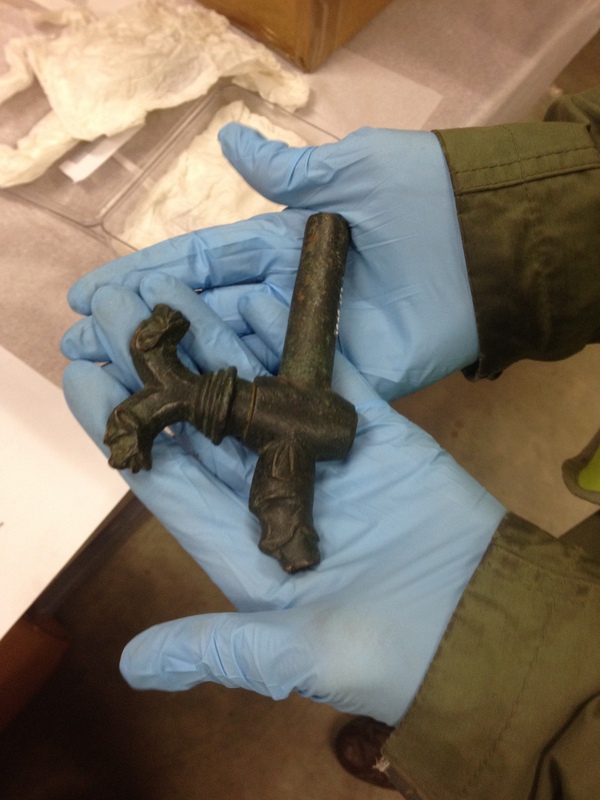 We were all thrilled by this medieval tap, and it requires careful packing in order to protect the decorative design. 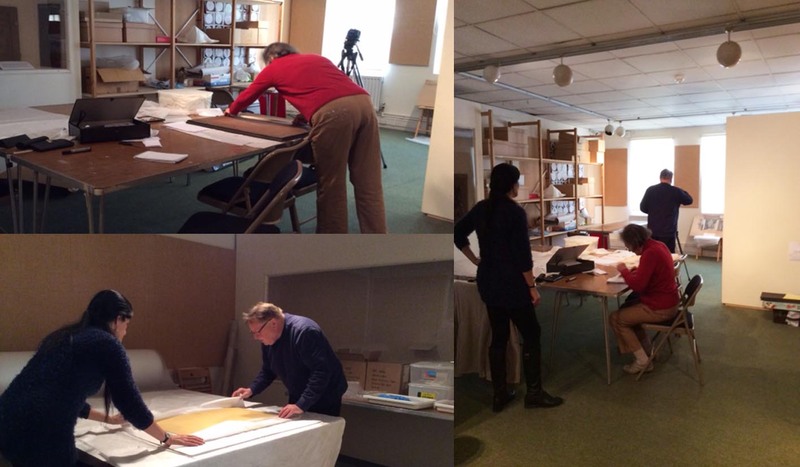 Over at Lowewood museum, one of our volunteers was involved in assisting museum staff in the creation of the updated Braham Gallery, which celebrates our archaeological collections. Many of our archaeological collections have limited or no individual records, as a lot of archaeological collections tend to be ‘bulk’ recorded, due to the large numbers of objects that are collected. Volunteer Lia, who has a background in archaeology, assisted us by helping to record and update our records so our education and exhibitions team were able to share the stories of these objects. Lia, writing object descriptions and location movement slips. A molar tooth of a mammoth, one of the many prehistory objects Lia was researching. And of course, besides all of our hard work at the stores we ensure we celebrate with our volunteers at Epping Forest District and Lowewood Museums. This year we had our first joint volunteer Christmas party and we’re looking forward to a busy and exciting 2015! 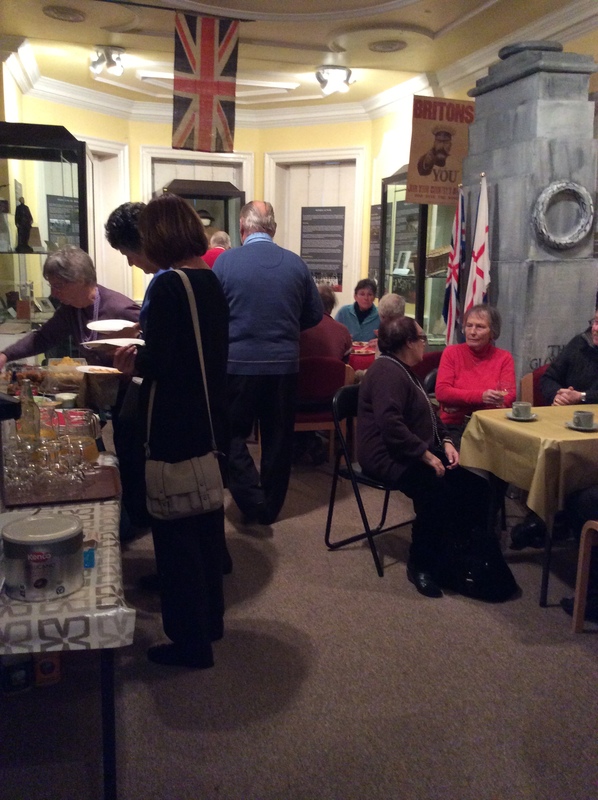 Volunteer Christmas party at Lowewood Museum, we had a pretty splendid buffet and celebrated the wonderful achievements of all our volunteers throughout 2014. How do you pack up a Museum? 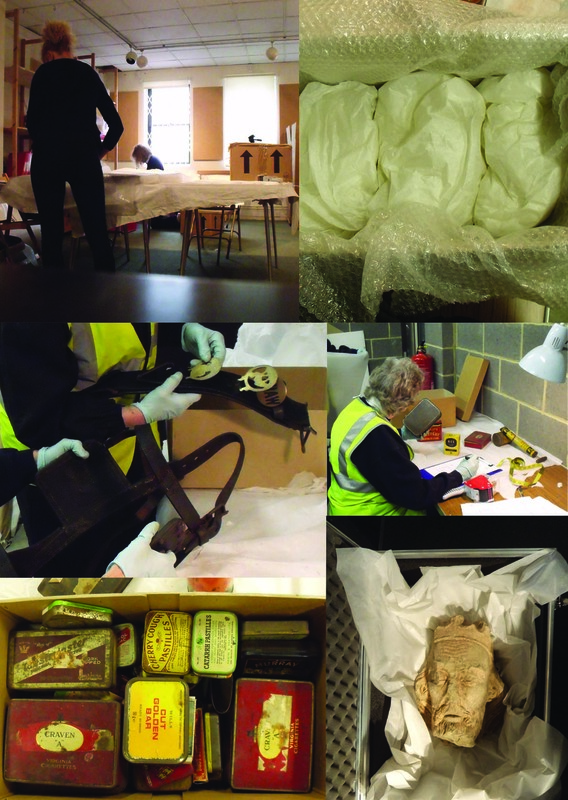 Ever wondered what is involved in packing and moving Museum objects? 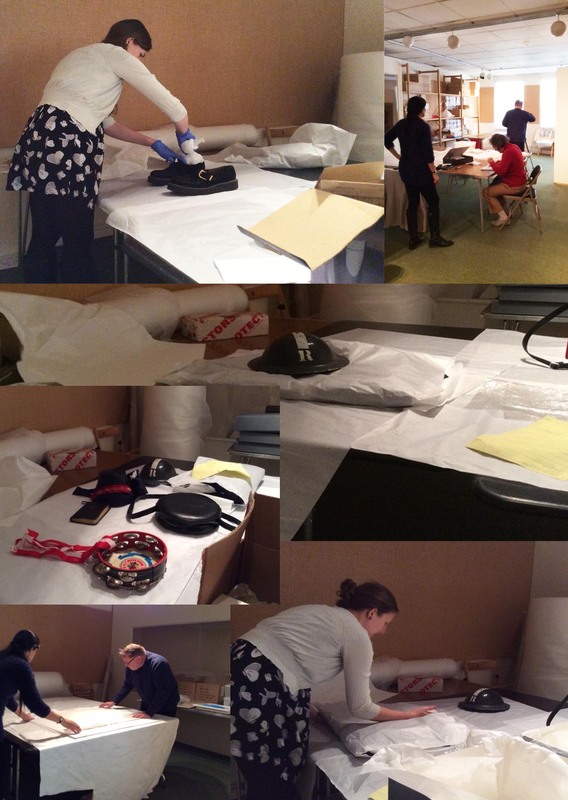 Here is a little information about what the Museum got up to during the packing process. The Museum itself houses a wide range of objects in its collection; from art to archaeology, books, costume, photographs and much more. 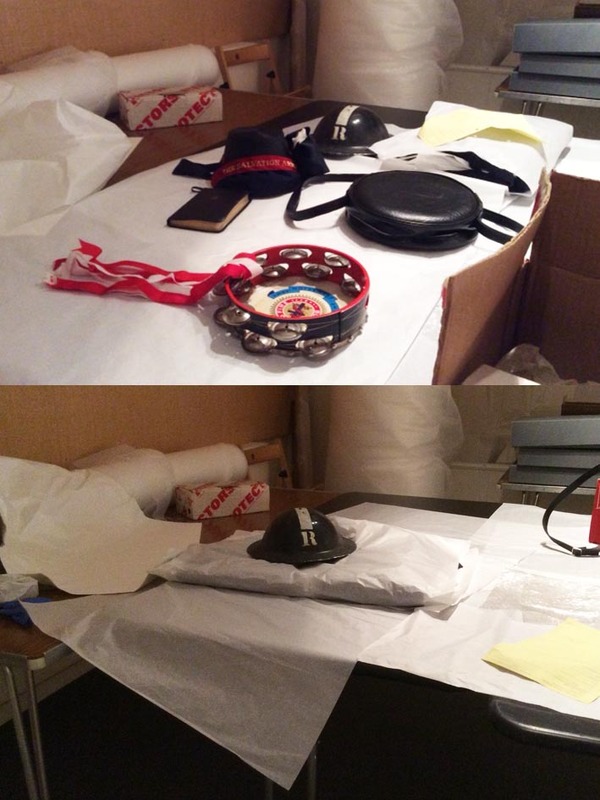 With such a variety of objects the collections team, staff and volunteers had to treat each category of object very differently and often pack items on a case by case basis. The art forms quite a large part of the Museum’s collection. 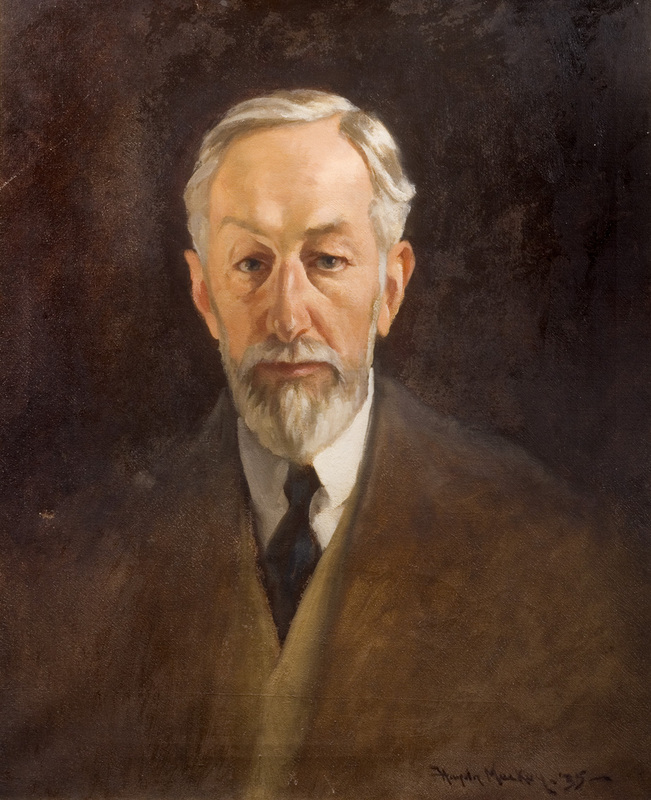 Both the staff and volunteers particularly enjoyed this task as the Museum has within the collection a number of pieces by local artists including Walter Spradbery and Haydn Mackey. Some of the newer staff members and volunteers were seeing some of these artworks for the first time and sometimes it was hard not to get distracted from the task at hand! The framed art was a much bigger task (and often much larger pieces!) as it was important to photograph, measure and document each object. Each framed piece was treated individually depending on size and ornateness of the frame it would be packed in a slightly different way. Measuring was important for documentation as well as thinking about the Museum’s exciting new storage facilities, and by photographing the art the team has created a great inventory and record. Below are some pictures of volunteers packing some of the art. The costume packing was quite different. Items where either hanging and stored in special calico bags or folded with acid free tissue and boxed. We uncovered some great fashion items whilst packing the costume, our touring exhibition assistant enjoyed looking through some of these items! Archaeological items often need a much more controlled environment so some of the objects that were susceptible to moisture damage had to be stored in boxes with airtight seals and with a kind of silica gel inside to create a ‘micro-climate’. As you can see many of the staff and volunteers enjoyed the packing process even though it was a difficult task. There was a lot to pack and often hurdles to overcome with unusually shaped and sized objects. The collection has now been moved and safely stored in the correct environment and some of the collection will continually be documented and worked on during the Museum closure. 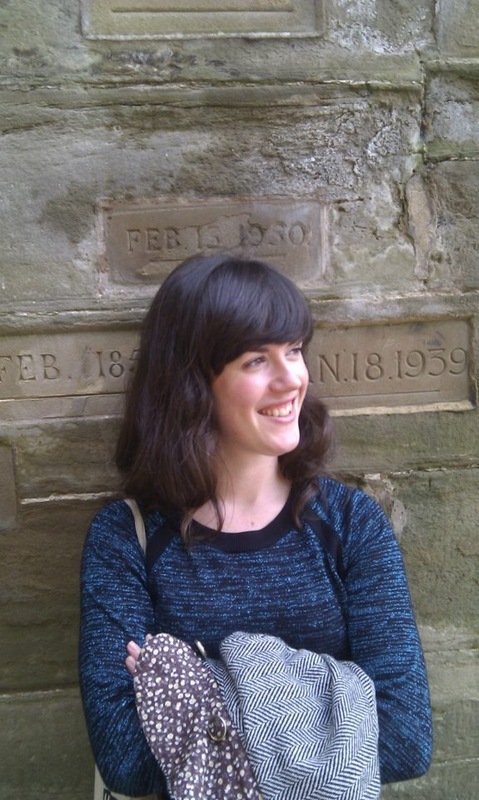 Heritage Lottery Fund Project Update – what have we been up to? The major task at the moment has been to move the collections to a safe environment and empty the Museum building ready for the building work to begin. Staff and the museum’s many volunteers have been working on the painstaking task of cataloguing, sorting and packing the Museum’s vast collection. Everyone has said what a very enjoyable task this has been even though it has been hard work. For many volunteers and some of the new staff working on the Heritage Lottery Fund Project it has given them an insight into the fantastic collection that the Museum holds. 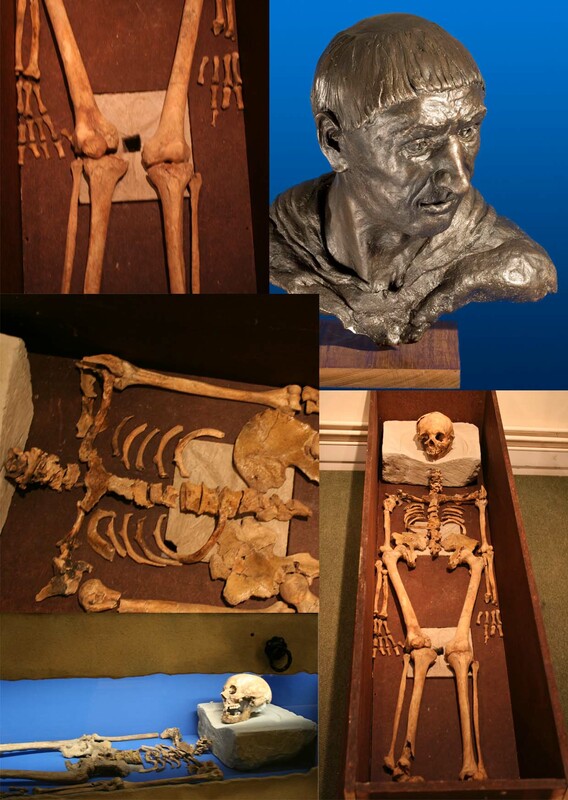 The museum collection contains a skeleton from the Waltham Abbey Chapter House burial of around 1250 AD. Evidence suggest the man is thought to be an abbot of Waltham, a facial reconstruction has been completed, showing what the abbot may have looked like. 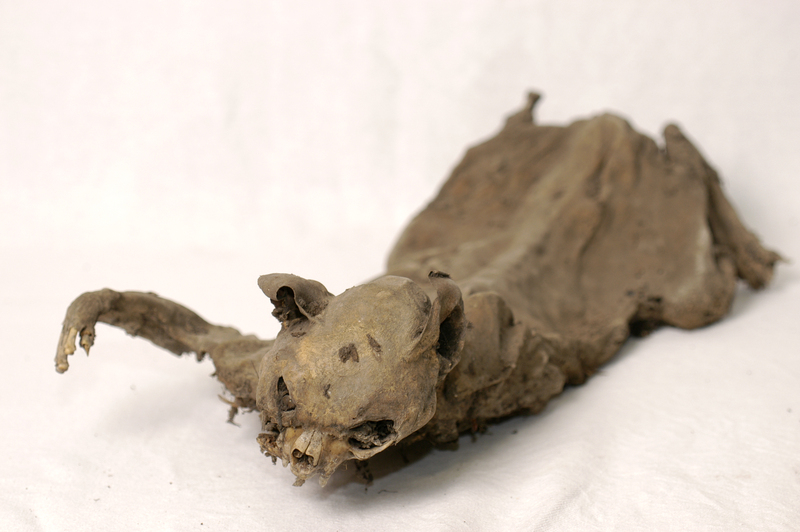 Items have included artefacts as diverse as a mummified cat, an abbot’s skeleton and artworks by artists connected with the district. One of the most important items in the museum, the Tudor panelling, on a long term loan from the Victoria and Albert Museum has been carefully moved to a suitable storage area and will be redisplayed when the museum reopens. Everything has been packed before being stored securely and in a suitable atmosphere in order to preserve the collection’s precious and often irreplaceable items. Building specialists are now investigating and recording the historic listed building the museum is located in ahead of building works, which will begin later this year. Look out for more updates on our exciting project in future blog posts!